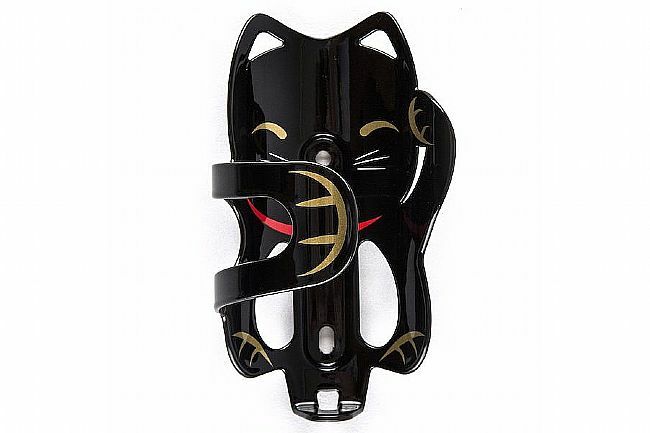 The Portland Design Works Lucky Cat Cage is made from a single sheet of lightweight 5052 alloy. 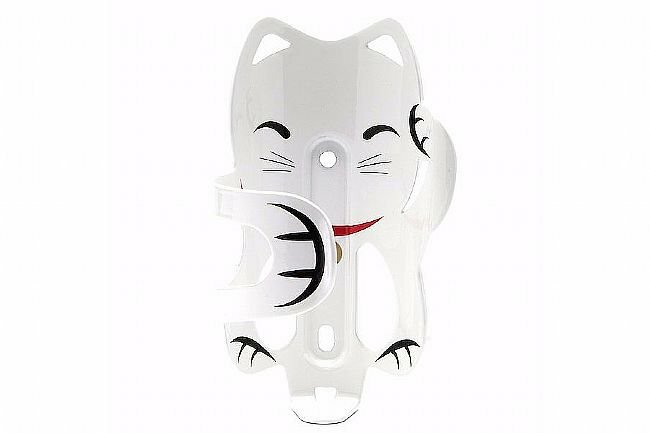 Cut in the shape of a Maneki-neko (Japanese for "beckoning cat"), this bottle cage will undoubtedly bring good luck to its owner. 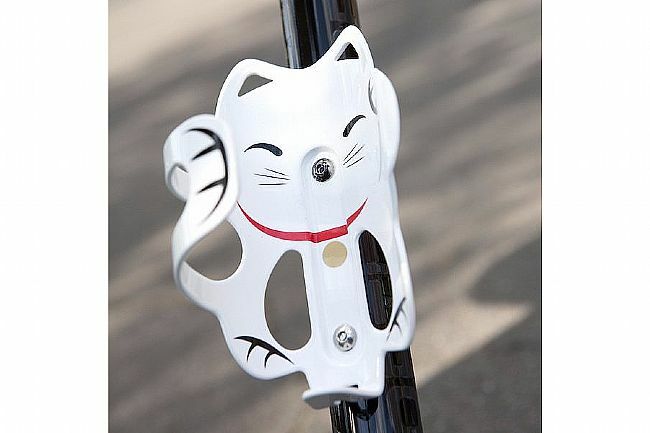 With a side loading design, the Lucky Cat makes it a great fit on small bike frames as well as retaining a wider variety of bottle shapes. Includes two stainless bolts for installation. This is a classy well made water bottle holder. My daughter loves it and the individuality it gives her bike is worth the extra money. I've tried a lot of products that claim to increase your wattage or reduce friction on the bike. This product does neither, but in the end you will win if you have this bottle cage. Buy it and ride with your hands in the air. You win. Awesome bottle cage especially for smallervintage bikes. With the way this cage is designed, one can take their bottle out to the right sideways without hitting the top tube. The cat shape certainly catches attention and the graphics are holding well for daily use (I've been using this for three months). My Nathan 22 ounce tru-flex water bottle fits perfect in the cage as will any similar size water bottles. It is so nice to have a water bottle cage with personality.